Throwing back to our meal a year later, I can still recall the taste of the fresh, flavoursome food. We had the lunch set menu, which we thought was good value for money for food of such high quality. Although I note that we didn’t drink (apart from our initial glass of champagne) as we were driving home that day so this probably kept the bill down. 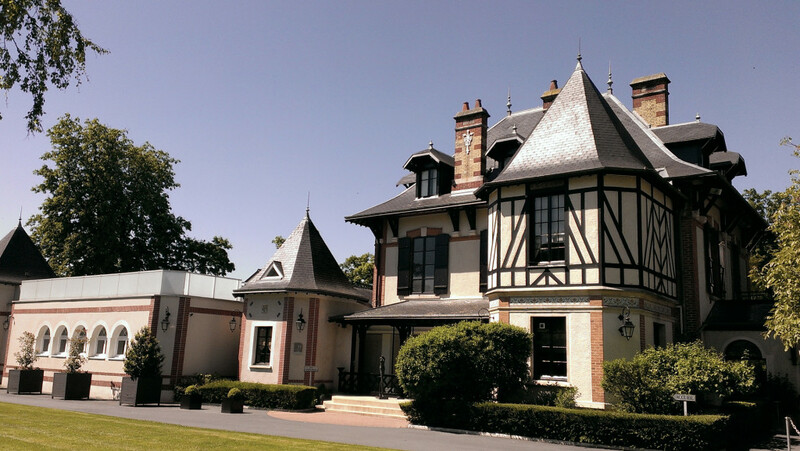 The restaurant is located in a beautiful hotel (of the same name) on the outskirts of Reims. The terrace is a lovely sun trap for aperitifs at the start, or coffee at the end, of a meal. We opted for the former before settling into the bright, clean and crisp main dining room for our lunch. My starter (pictured above) was definitely the stand-out course – describing itself as a humble tomato tartelette this was anything but humble. 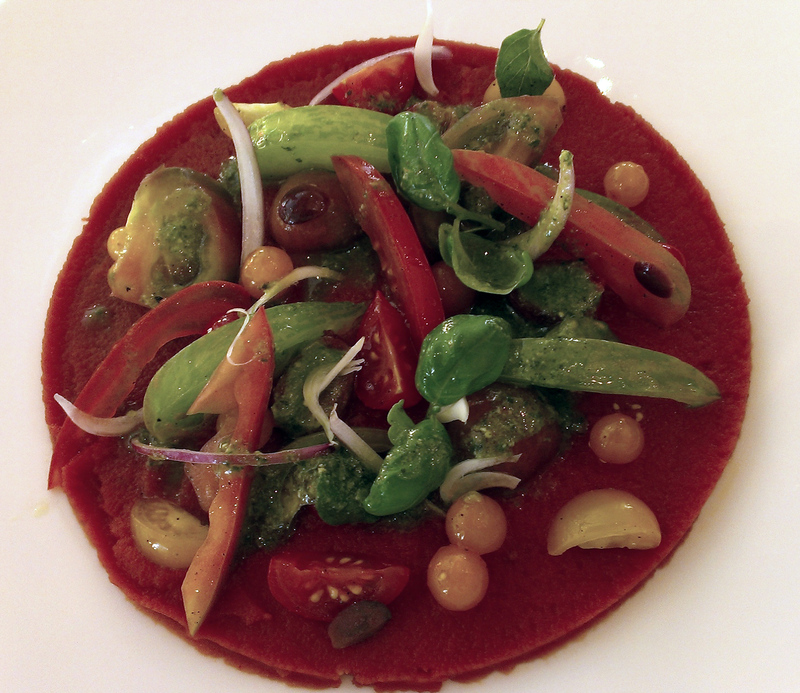 The main tart was made with a paste from what must be the most mouthwatering tomatoes I have ever tasted. And the top was garnished with tomatoes of every colour, not only was the variety beautiful to look at it meant that every bite boasted a second layer of flavour, from tart to earthy to intensely sweet. Combined with the lightest of pastries this set a very good tone for the rest of the meal. It seems that my main course got lost in the photo-editing process but it was a perfectly cooked cod dish. The fish course was simple and light – perfect given the delights left to come. 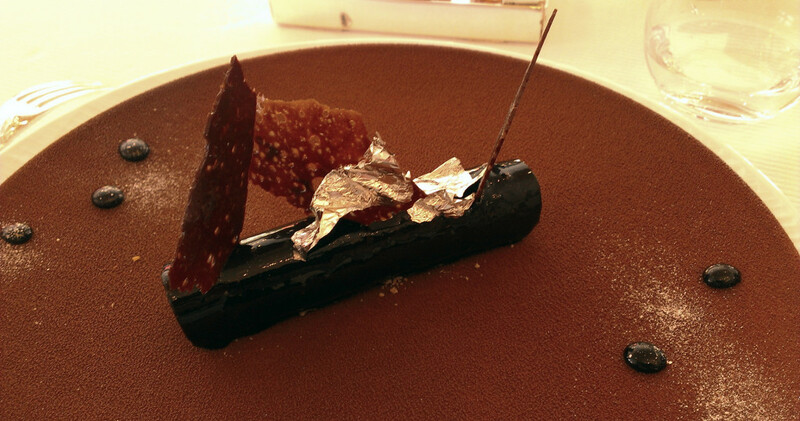 Dessert was a very rich and beautifullly presented chocolate creation. I thought after that I was sated…but then this range of petit fours was brought out. Mini lemon tarts, yuzu chocolates, fruit jellies, canelés and almond tuiles… I was lost for words… probably because my mouth was full!! 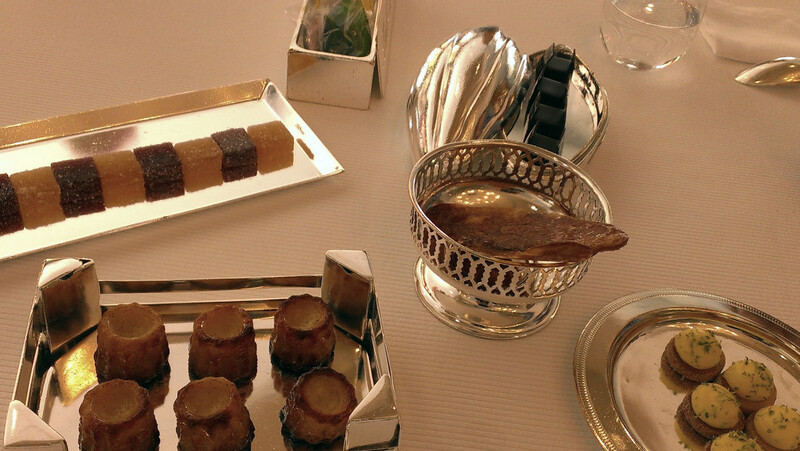 The huge array of petit fours were served with tea and coffee, but like most things in this restaurant this wasn’t just the normal array of tea and coffee; a cart with endless jars containing different varieties was presented and you could pick your tipple by smelling the fresh beans or tea leaves. Lunch at l’Assiette Champenoise was the perfect end to our long weekend and I would definitely make sure to make return on my next visit to Champagne. This entry was posted in eat and tagged Champagne, gourmet, L’Assiette Champenoise, michelin, Reims, tbt, Throwback Thursday. Bookmark the permalink.